Earlier in the year at the end of February, in a coaching role Lincon Yasuda was present in a port city located on the banks of a busy river; just over six months later it was a geographical destination of a similar kind but very different in nature and climate. The destination in the second month of the year was London, the world famous city located on the banks of the River Thames, the event to guide the fortunes of Brazil in the Women’s event at the Team World Cup; from Monday 10th to Friday 14th September, the terminus was Belem, located on the Para River, the gateway to the Amazon. 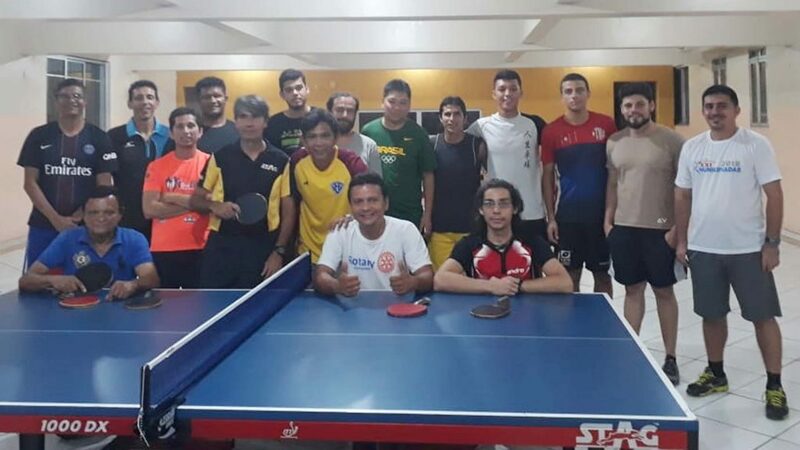 The quest was to conduct an ITTF/ PTT Level One Coach Education Course. 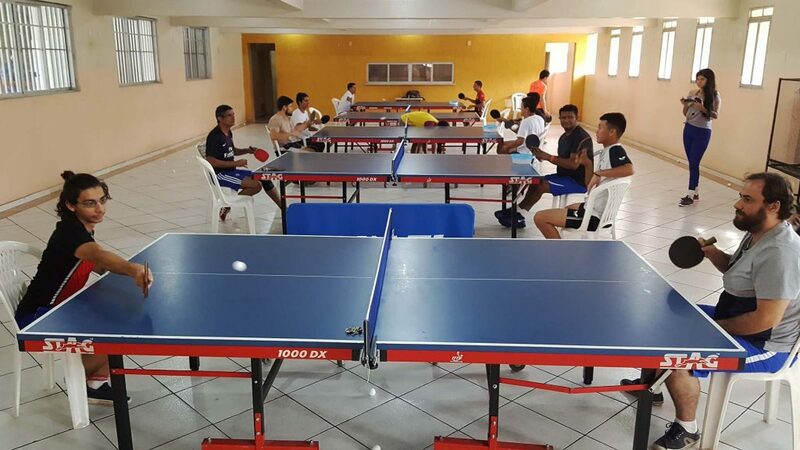 Self-funded but organised under the auspices of ITTF High Performance and Development, a total of 16 coaches attended, all male travelling from Bahia, Amazonas and Amapa. A most suitable venue was provided; proceedings being well organised in a region proud of its heritage and culture; the local cuisine proving very much to the satisfaction and delight of Lincon Yasuda. Traditionally, São Paulo is the focal point for table tennis in Brazil, many of the country’s leading players being descendants of Japanese immigration to the area over one hundred years ago, the notable modern day exceptions being Hugo Calderano and Thiago Monteiro; however, in the State of Para of which Belem is the capital and largest city, the sport is growing. Notably in that region of the country they have a role model, Ligia Silva hails from the Amazonas region. 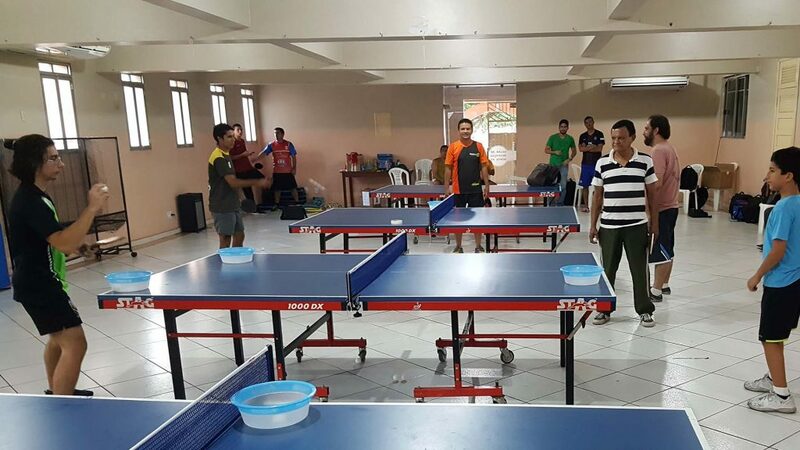 The person principally responsible for the progress is David Domingues, he is the President of the Para Table Tennis Federation; the course conducted by Lincon Yasuda providing major support to the efforts being made locally. 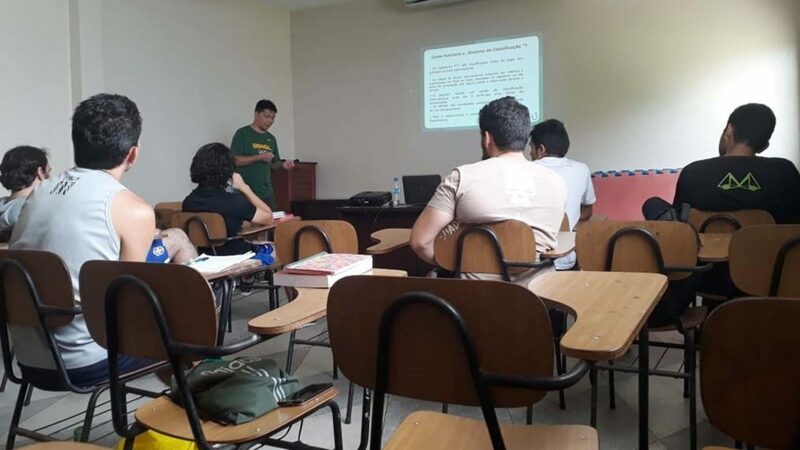 A successful conclusion in Belem and for Lincon Yasuda yet another successful conclusion; since early 2017 he has conducted similar courses in Joinville in the state of Santa Caterina, Rio de Janeiro, Brasilia and Belo Horizonte in Minais Gerais, in addition to Campo Grande in Mato Grosso do Sul and in Porto Alegre, the capital city of Rio Grande do Sul. No doubt the travels will continue.